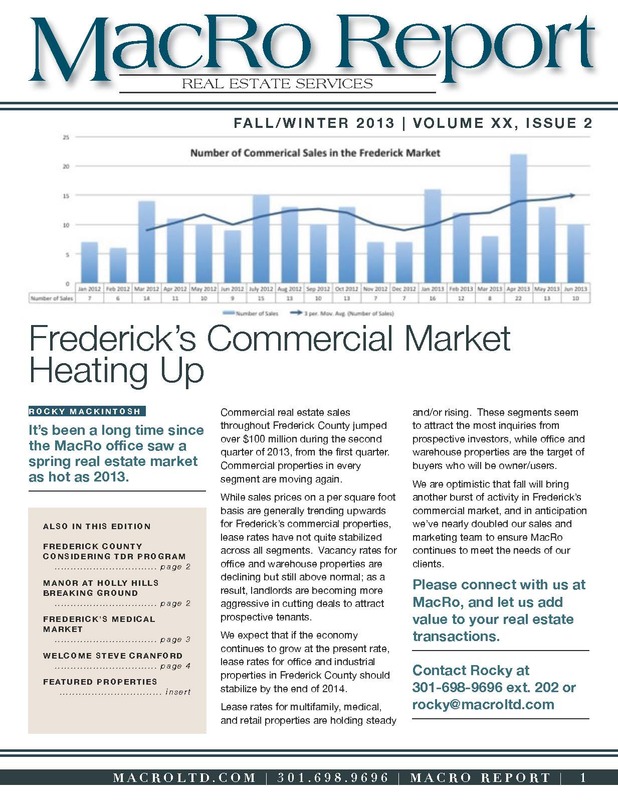 Commercial real estate sales throughout Frederick County jumped over $100 million during the second quarter of 2013, A TDR program is under consideration and Frederick’s medical market shows resiliency. 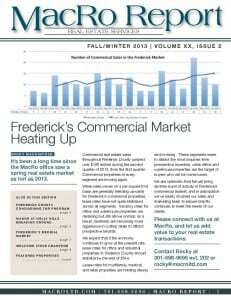 MacRo expects that if the economy continues to grow at the present rate, lease rates for office and industrial properties in Frederick County should stabilize by the end of 2014. 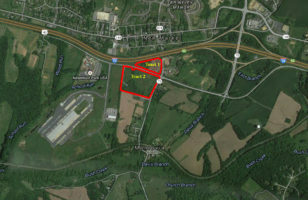 A Transferable Development Right (“TDR”) program is once again being considered by Frederick County. Earlier this year, the Frederick County Farm Bureau submitted a proposed zoning text amendment to the Board of County Commissioners (BOCC). In response, the BOCC established a workgroup to evaluate the opportunity for a TDR program in Frederick County. Site development and public road paving have been completed at Manor at Holly Hills. The community entrance and bridge are also completed with the exception of a few finishing touches. Medical office buildings (MOBs) weathered the recession better than any other type of real estate, with the possible exception of apartment buildings. Seasoned commercial real estate broker Steve Cranford joined MacRo in August.